This adorable little panda is so darn cute! 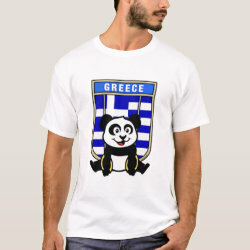 He's featured in front of a flag from Greece and getting ready to do a gymnastics routine on the rings. This cute design is perfect for gymnasts and gymnastics fans. Show your support for the Greek men's gymnastics team!